Selectable modes for optimal battery size adaptation. Selectable power supply program for constant voltage output of 50A at13.6 14.8V/27.2 29.6V. Reconditioning function to restore stratified and deeply discharged batteries. Diagnostic features to determine if a battery can receive and retain a charge. Temperature sensor for optimized charging at all times. Integrated USB port for parameter upload. 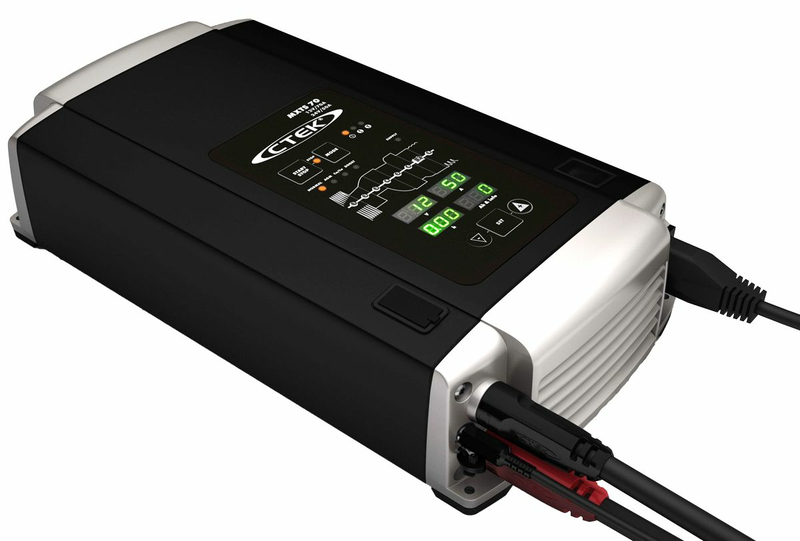 The MXTS 70/50 is a fully automatic 8-step charger that delivers selectable 50A/12V or 50A/24V to batteries from 20 to 1500Ah for 12V and 20 to 1500Ah for 24V. 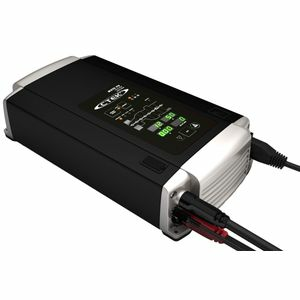 The charger is IP20 classified, housed in heavy duty aluminum for rough environments and designed to protect vehicle electronics. It is non-sparking, reverse polarity protected, and short-circuit proof. The MXTS 70/50 is delivered with a 2-year warranty.